Merf’s passion for fermentation started in his kitchen a few years earlier. He’d driven west to Seattle from the family farm in Iowa. “Thirty, thirty-one hours straight through,” he says, with maybe an “hour stop for a rain storm in South Dakota.” He was in the ’79 Park Avenue his dad gave him: “a great ride, and everything I owned fit in that car.” The first thing he and the buddy he’d come to visit did was go to the Red Door, a craft brew bar in Fremont. “I had a Redhook ESB that changed my life,” he says. Back then, Grant’s was owned by Chateau Ste. Michelle Wine Estates. When, in the early 2000s, Ste. Michelle decided to get out of beer and focus on their core wine business, they kept Merf on as a winemaker for Northstar, an ultra-premium maker of Bordeaux style wines, especially noted for its magnificent merlots. “I knew the Northstar winemaker at the time, Gordy Hill ’80. 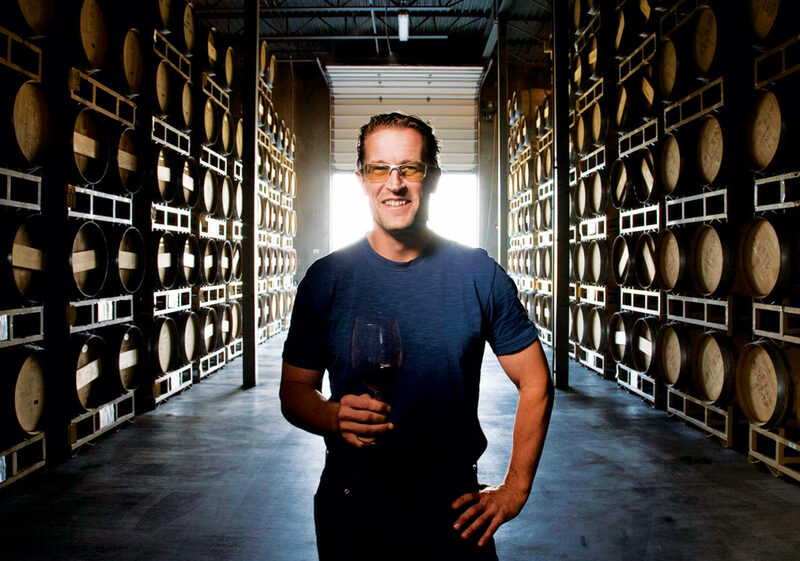 All the winemakers would come down and pick up beer to drink, and would leave wine for me.” He and Hill would “geek out” on fermentation science. Encouraged by the education-prizing culture of Ste. Michelle, Merf got a degree from WSU Tri-Cities in viticulture and enology. Merf and his assistant winemaker, Karin (Dinger) Gasparotti ’09, are both paying it forward. Northstar wines will be featured at the Dad’s Weekend ’18 Feast of the Arts. And they’ll be mentoring current students in the student-made winemaking program, Blended Learning.